Please select the 1080 HD in the setting tool, to view in High Definition. My fifth video “Form and Void”, in my short film series entitled “Your World Disappearing” continues the exploration of ambiguity, magic and lost, and on the edge of everything ending. Again, I am using film that I shot from various locales such as the shore, mountains, and forest combined with some sampled imagery to bring this series into an elemental sense of organic ambiance. I composed the music from samples and each piece is constructed to give the feeling of alienation, detachment and a bittersweet wonderment. 2011 and now 2012 promises to bring to the forefront—images and ideas for the contemplative and visionary mind. Here is just a sample of recent work. Discreet Music is an exquisite moment in classic ambient music…. I love the work of Brian Eno. Followers of ambient electronic music are quite familiar with his work. Throughout the years he has been well received and recognized as the founding father of the ambient music genre. This song entitled Discreet Music embodies the term classical ambience; circa 1975. His work, and especially this piece has always been an influential support mechanism for a lot of my creative pursuits and processes (most notably—repetition and pattern in my visual design). Some of my favorite moments with this piece has been the repeated playing of the song while entertaining guests for dinner. I believe it is perfect for any setting while enjoying a wonderful epicurean delight. Once again in keeping with the structure of “Music For Backgrounds” I am imploring a song of some length. Discreet Music clocks in at just over 30 minutes long. Below is a small excerpt of his career. Brian Peter George St. John le Baptiste de la Salle Eno (born 15 May 1948), commonly known as Brian Eno or simply as Eno is an English musician, composer, record producer, singer and visual artist, known as one of the principal innovators of ambient music. He joined the band Roxy Music as their keyboards and synthesizers player in the early 1970s. Roxy Music’s success in the glam rock scene came quickly, but Eno soon tired of conflicts with lead singer Bryan Ferry, and of touring, and he left the group after the release of For Your Pleasure (1973), beginning his solo career with the art rock records Here Come the Warm Jets (1973) and Taking Tiger Mountain (By Strategy) (1974). 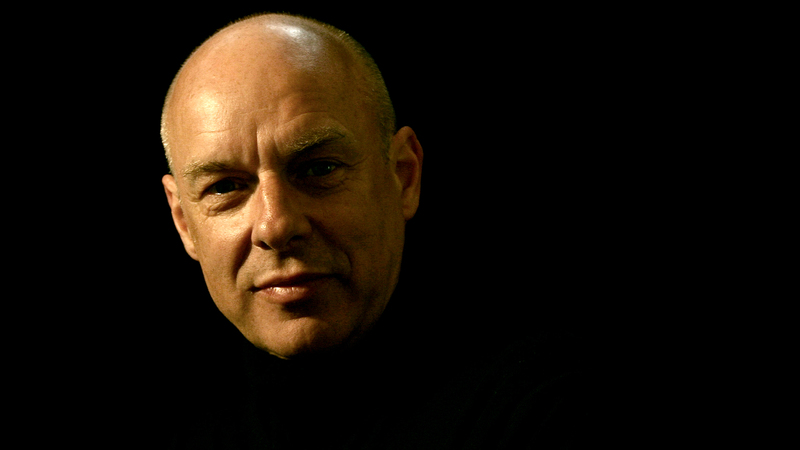 Eno extended his reach into more experimental musical styles with (No Pussyfooting) (1973) and Evening Star (1975), both collaborations with Robert Fripp, The Lamb Lies Down on Broadway (1974) by Genesis where his work is credited as “Enossification”, and his influential solo records Another Green World (1975) and Discreet Music (1975). His pioneering ambient efforts at “sonic landscapes” began to consume more of his time beginning with Ambient 1: Music for Airports (1978) and later Apollo: Atmospheres and Soundtracks (1983) which was composed for the documentary film For All Mankind. Eno nevertheless continued to sing on some of his records, ranging from Before and After Science (1977) to Wrong Way Up (1990) with John Cale to most recently Another Day on Earth (2005) and Drums Between the Bells (2011).